This interview was conducted on Sunday the 3rd of August 2014. It was after the regular season of proleague so most of the players were away and not in the teamhouse. Last time we talked together, MKP was taking a break from SC2 to play LoL. Many things happened since. Q: First i want to talk about the League of Legends team. PRIME managed to qualify for the OGN Spring season but not the Summer one. Where is the LoL team at these days and how do you feel about it ? PRIME Optimus did a really good job for the Spring season and we had high expectations for the Summer one but unfortunately it fell short. So we are trying to do better for the next championship, changing some players and doing everything we can to aim for top 4. Q: So players are changing again. Since LoL is a team game, don't you think it's important to let 5 players play together for a long time instead of switching them often as it's been the case for PRIME ? LoL is such a competitive game in South Korea. When we have good players, we want to keep them, but every time this happens they just leave for bigger teams with better salaries. The next line up will be contracted and we will be able to build a team with long term objectives in mind. Q: Alright. Let's switch to SC2, obviously finishing last in Proleague is a bad result and there is nothing to be happy about that. Even then, i want you to find something that was positive this season, and also is there something that you would have done differently in retrospect ? One good thing was CreatorPrime playing well and winning a lot. We actually have big news coming out tomorrow, we are getting a new main sponsor and we will be able to contract players, so we can recruit some solid players. So if there is something different that i wish i could have done, it's having the ability to do that : recruiting better players. Q: During this Proleague season there was a big recruiting wave, none of those players are in the line-up anymore. Can you tell me what went wrong with this recruitment ? Most of them didn't had any previous experience or career before coming in. Their skill level was not very good and i feel it was dragging the global level of the team down, so i had to let them go. What i want to do now is bring more experienced and skilled player to the house, raise the level and attract bigger sponsorship. Q: So none of them stayed ? There isn't anyone who showed enough potential to stay ? einsPrime looked good to me ! einsPrime retired from progaming after his last game. Q: And there is another player that i want to ask you about, all the fans are asking about him. There are some rumors he went to the military, or that he is in the hospital…Where is ByuN ? I don't know ! Maybe he started his civil service [NDLR: An alternative to military service where you work for the city instead of the military], i think he is at his house now. To be honest i don't really know he is always living like a shadow ! 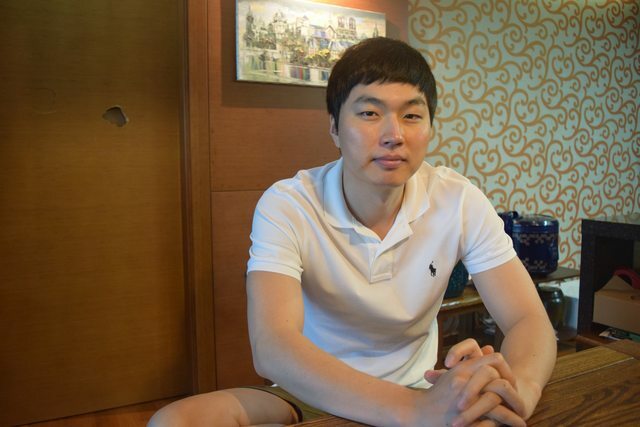 Q: Lately there was some revelations about some payment being held by TtEsports. It looks like KeSPA is helping to solve this issue, and is even about to sue them (? ), how do you feel about those issues ? Actually KeSPA is not suing them, maybe it will happen but nothing is done yet. We've been with TtEsports for 3 years and the relation was always really good, we had good interactions when saw each others at various events. But suddenly they stopped to pay us. I feel they acted very selfishly, they are a big company and we are a small team so there is nothing we can do about it. KeSPA is trying to help but honestly i feel the money will never come, as a manager i feel helpless so that's why i want the fans to know about this issue, so the attitude of big companies towards smaller team like us will change. Q: You are announcing a new sponsor tomorrow, can you talk about it ? KTC is a company taking care of emergency situations, think of it as a private 911. This kind of service is not really known in Korea so it's a good opportunity for both of us. I am also in talks with a few other companies right now and i hope to have some more good news in a week or so. Q: Since the first time we met, you were always looking to secure good sponsorship for the team. Do you feel that you are finally getting there ? Was KeSPA a big factor in securing the sponsorship ? Jun Byung Hun, KeSPA's chief executive, is helping PRIME a lot. Actually there are really helping the smaller teams, getting new sponsors and so on. As for being sure that big sponsorship is secured, it's impossible for us to always be sure about it, the way to achieve it is by getting excellent results and trying hard to get there. Q: You now have Cezanne helping you coaching the team. Last time we talked it was a priority for you, getting some help with the coaching. How is that going so far ? I was the only one taking care of everything, watching over both LoL and SC2 players and managing the team. It was a lot of work. Now there are two coaches with me, one for SC2 and one for LoL. I can focus more on getting new sponsors and thanks to their help i am able to share some good news today [about sponsorship]. 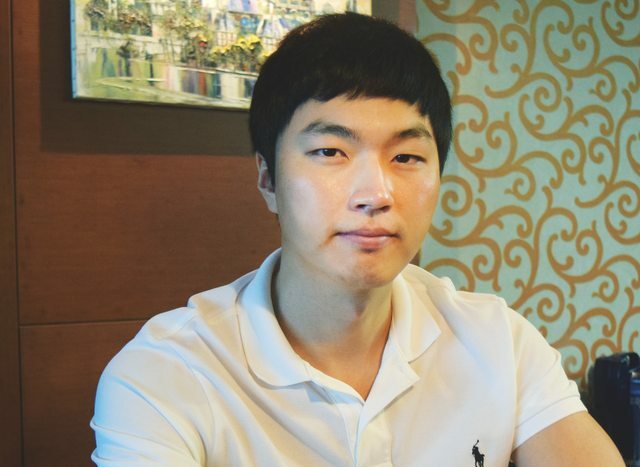 Q: PRIME is the one of the very few Korean team to have a foreigner player in the roster. How is it going with StatePrime and what do you think about his skill level ? Ahh Ryan…Of course he has to do his best and train hard like every player. He is very kind and friendly, and he is definitely very hard working. 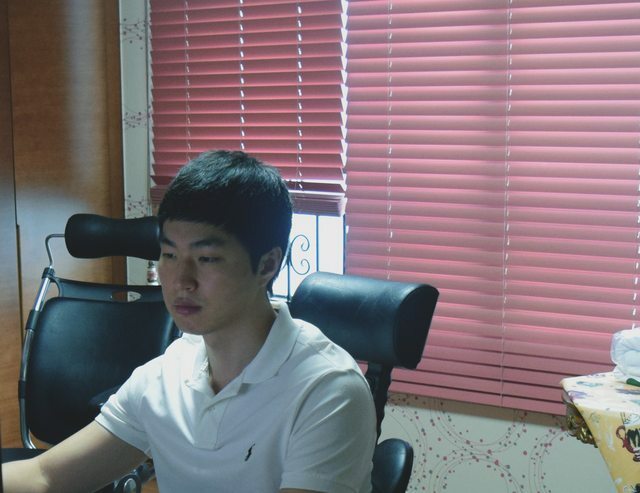 [in the game but also at learning korean and adapting to the teamhouse]. I feel that this period of rebuilding is good for him and we are happy to have him around. Q: Ok so now let's talk about GerrardPrime the player ! You played some hearthstone tournaments. You got some decent results, placing 3/4 in the OGN Invitational (highest placing Korean player), and you were also the only one winning a match in the China vs Korea ASUS league. So does that make you the best Hearthstone player in Korea ? Ahaha ! I actually stopped playing competitively. I was thinking that if i made it to the finals of the OGN Invitationals, even not winning it, i would try to pursue playing HS competitively[NDLR: he was eliminated by Artosis]. But i didn't managed to get there, so that was it ! So many Korean players are getting into Hearthstone seriously and the competition is fierce . Even if it will probably not be as big as the European or American server, Blizzard is pushing the game very hard to casuals like students. The game is on iPad already and will be on smartphone soon to. it will bring a lot of players to the game. If there are a lot of people playing the game, there will be some very good Korean players for sure. Q: Before we close this interview, i want to talk about MarineKing. You had some nice words for him when his release was announced. Do you have anything more to add to this ? Everything i said i truly meant. What makes me sad is that MarineKing was always a top player, he could even be one of the best when the team was not doing so good and i think the team might have held him back. He sacrificed a lot for us, and with the right circumstance around him, i am sure he will be unstoppable. PRIME will do its best to be a top team again, and at that time, i am sure he will come back. Q: Any words for PRIME's fans ? PRIME could have that many fans thanks to MKP. Now that he is gone, it's really heartwarming to see that so many fans are still with us, they are helping us keeping our heads up when the time are not best. Many of those fans have been following us since the very beginning of Starcraft2, for them i want to bring back the honor of our beginnings and moments like the finals in Las Vegas[NDLR: he is talking about 2012 Global StarCraft II Team League Season 1]. Q: It's true that PRIME has been around since the beginning of SC2. How come PRIME is still here and fighting whereas almost all the of teams that were created at the same time are gone ? Well we always had a player doing well in tournaments so that helped keeping fans around. When we created this team, we had one goal in mind : be on the top of the [starcraft] world. We never lost sight of this goal and we are continuing going for it, for our fans and everybody supporting us. I probably left out some typos and english mistakes here and there. I will proofread it later as the sun is rising here and i have to get some sleep. I have another interview with StatePrime ready to be transcripted that i will do sometime this week. Another thing that we discussed off record was that he is pretty sure that he will field a Heroes of the Storm team as soon as the public beta is released. So i asked him if he were to make another team, why not DotA2 instead of Heroes of the Storm ? To which he answered that he thinks DotA2 is not popular enough in South Korea now, if it gets more popular he will consider it but it's not in the plan for now. So even prime doesn't know where byun is. At this point I'm calling illuminati, curse you illuminati why are you killing esports!? Lorning must be happy now. Thx for that! So happy for Prime! So basically ByuN doesn't even live at the team house anymore. He's just somewhere in this world doing something. What a great interview. Thanks for the translation! I am sure he knows more but he is not telling me. i want to know. edit: i added an edit for this question because it obviously one of the things that people are focusing on and my translator told me that my edit was not really accurate. There was also a bit of comic tone in his voice when he said that. "He sacrificed a lot for us, and with the right circumstance around him, i am sure he will be unstoppable." i'm sure too, MKP said "2014 year of MKP" - i believe him, if not this year - 2015 is going to be him year. gogo MKP, gogo Prime! When i first read the answer I thought that was one of Seekers *insert comedic answer* that he used to do. Thanks for translating! Looking forward to the State interview. We actually have big news coming out tomorrow, we are getting a new main sponsor and we will be able to contract players, so we can recruit some solid players. Their skill level was not very good and i feel it was dragging the global level of the team down, so i had to let them go. That's unfortunate. I hope they kept Kassia. I am also in talks with a few other companies right now and i hope to have some more good news in a week or so. Jun Byung Hun, KeSPA's chief executive, is helping PRIME a lot. Ryan such a godly god. And there you have it people, Prime's secret: A passionate Coach/Manager. You are a legend Gerrard! I remember Byun saying in his stream chat a looonnnggg time ago that he didn't live in the team house anymore. I really hope he gets some good players into the team now. DRG and Trap would be nice, Keen maybe too. Creator would benefit a lot from some good inhouse practice. Very interesting interview and good news for Prime fans, thanks a lot . Byun still MIA.